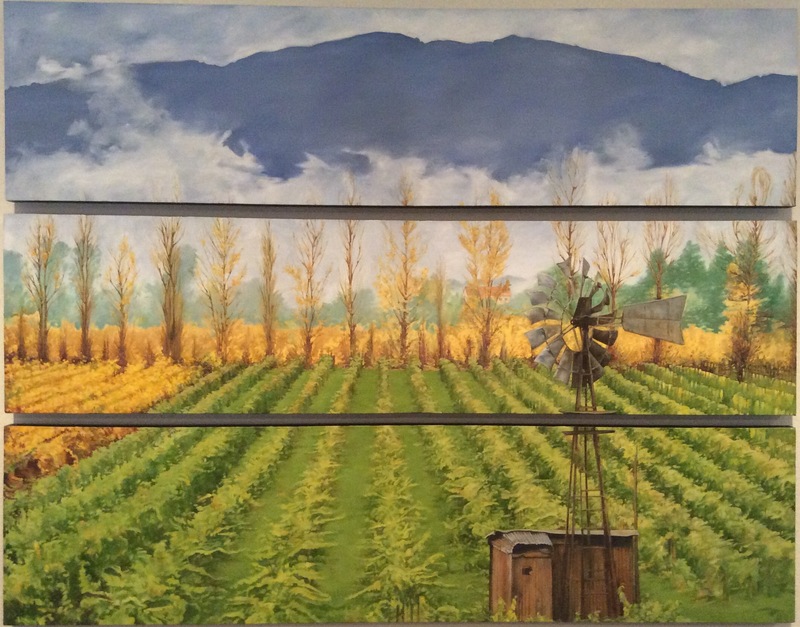 Section of a larger painting from my vineyard series. Organizing my paintings and sending some out for framing so that I can get them up at wineries. This is #17 of my daily painting and even though I didn’t get this one done in an hour or even a day, it needed to be completed. 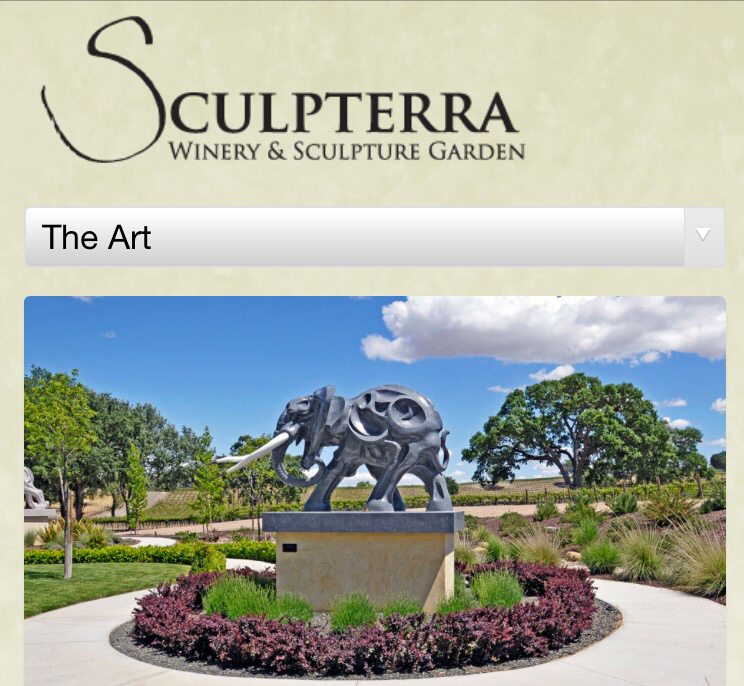 Friends of ours had brought us to Sculpterra Winery in Paso Robles and not only was the wine really good (“nummy” as one of our dear friends phrases it), the grounds that had meandering paths were filled with sculptures. 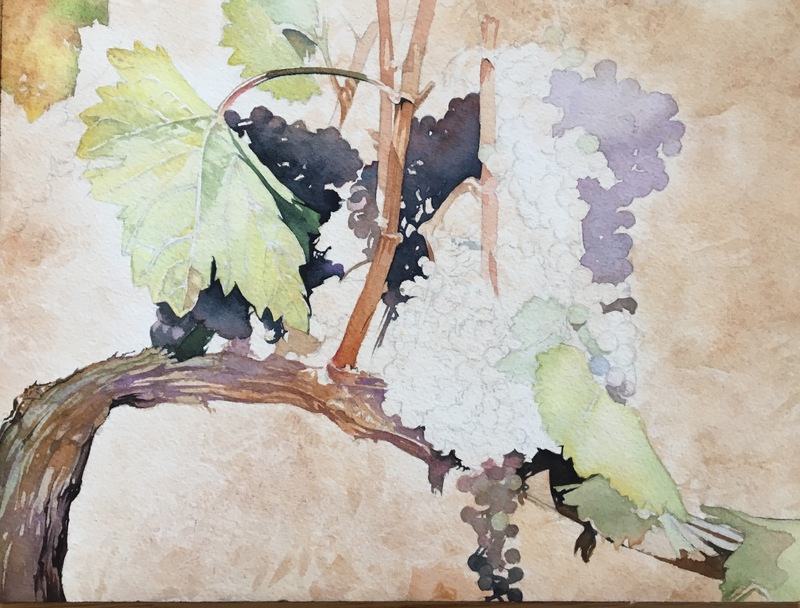 Awhile ago I had begun a vineyard series and by the time I started on this, I was burned out on painting clusters of grapes so I put it away for quite a few months but pulled it from my “to do” stack a few days ago and completed it today. As I normally work, I began with a sketch to figure out my design then did a textured effect for the background with burnt sienna and finally went in with the detail work. 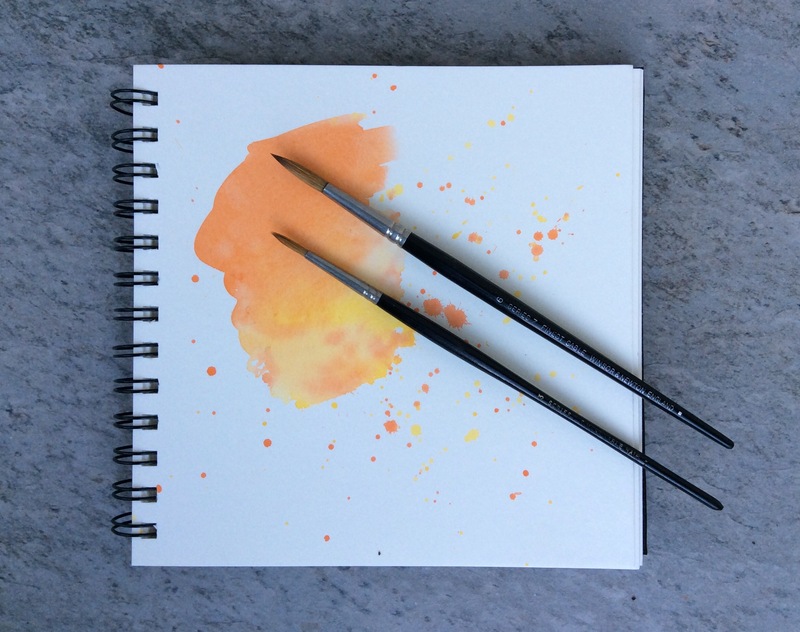 Planning each project ahead of time with sketches and maintaining control of the paint and detail has typified my work but I have a goal to loosen up my style like so many amazing plein air, as well as studio, watercolorists that paint with broader strokes and washes. Time for a couple of changes. 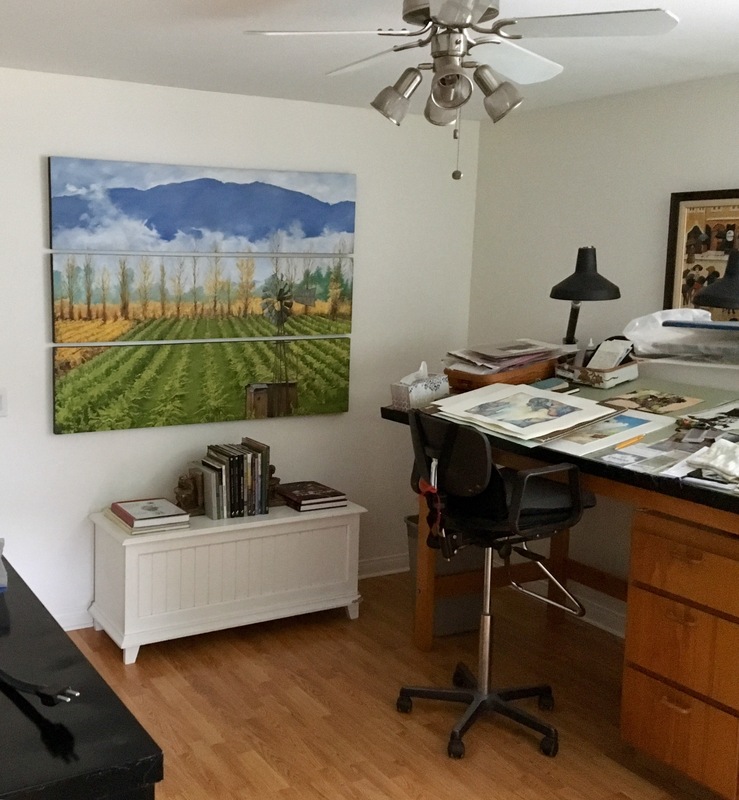 In a drawing or painting, the artist will draw a viewers eye to a specific area first, called the focal point, then with color, value and shapes the viewers eye then moves throughout the rest of the art. Each new blog I post will be that focal point. 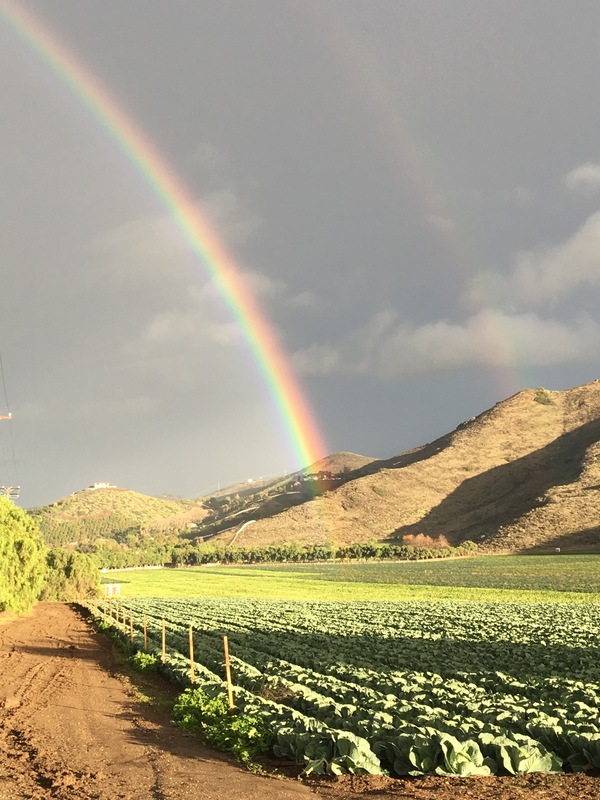 Santa Rosa Valley after a recent rain, this is what I was able to capture!